Finding housing in San Francisco is tough enough for ordinary citizens. 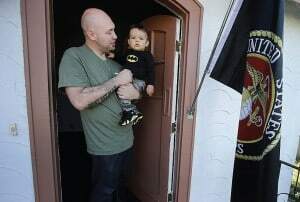 For veterans, many of whom have struggled to re-adjust to civilian life since leaving the military and suffered through bouts of homelessness, it can be even tougher. 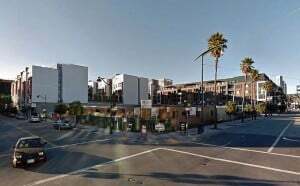 Swords to Plowshares, a leading Bay Area veteran service organization (VSO), however, has made its mission to secure affordable permanent housing to local veterans. In the last program year (October 1 2014 to September 30 2015), it has provided monetary assistance to nearly 300 veterans and their families to move into a new home, and provided eviction prevention funds to another 146. In addition to its other services—including employment & training, legal counsel, and mental health referrals—Swords to Plowshares currently has nearly 350 veterans living in its permanent supportive housing sites. But with San Francisco rents climbing to record highs, housing experts says that homeless veterans typically come with a stigma attached. Even if they qualify for HUD-VASH vouchers (Housing & Urban Development-Veteran Affairs Supportive Housing) to pay their rent, landlords often associate them with Section 8 housing and the negative stereotypes that go with it. Sherrod, along with her co-workers, has invested significant time cultivating relationships with landlords and property management companies, researching neighborhoods and attending forums and meetings. Swords to Plowshares even held a Landlord Appreciation Day in September, distributing Certificates of appreciation and personalized coffee mugs. Thanks to grants from the Department of Veterans Affairs that support its Supportive Services for Veteran Families program, Swords to Plowshares can cover the first month’s rent and security deposit for a veteran client, but encourages them to enter a lease only if they can handle rental payments from the second month forward. But Swords to Plowshares does more than twist the arms of skeptical landlords. Since 2014, the nonprofit has expanded its own veteran housing stock with a new facility: the refurbished, 131-unit Stanford Hotel located in the Financial District. Working with the city of San Francisco, Swords to Plowshares provides wrap-around, on-site services 24-7. Next up: a new housing site in Mission Bay that will house 50 veterans and 50 low-income families, slated to break ground by early 2017 with the building ready for occupancy by the end of 2018. For veterans who may be eligible for social security or medical benefits, Swords to Plowshares recently incorporated SSI/SSDI Outreach, Access and Recovery (SOAR) training for its employees to assist clients in obtaining records and filling out applications. The effort has already led to 79 referrals, according to benefits specialist Carmen Santoni. Add to that, 122 veterans clients are now enrolled in a Money Management Program to ensure regular rent payments, with monthly classes offered to teach veterans how to open bank accounts, balance their budgets, and become financially empowered. To learn more about Swords to Plowshares or make a donation please visit swords-to-plowshares.org or email supportvets@stp-sf.org. Brian Jarvis is the Communications Manager at Swords to Plowshares and a Public Affairs Specialist with the California Air National Guard.